Below you can find a basic website form using only HTML and PHP for the form processing. Along-side the HTML form you will find a basic PHP script which will capture the form submissions and send the form feedback contents to your email address. This is one of the useful script for customer feedback form. All the website contains the feedback form or contact form to get valuable information from the client. 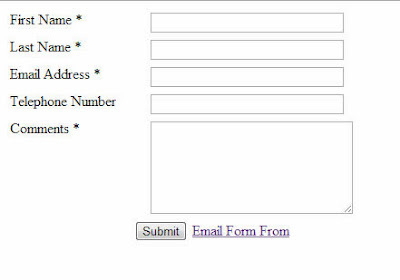 This script is used to send the form information to the particular email using php mail function.